In New York smoking is not as commonplace as it is in the UK, not in public areas at least. You won’t be surprised to hear that you can’t smoke in bars and clubs, but you’re also not permitted to light your cigarette in the park. If you are very much attached to your daily dose of nicotine, there are a few places you can freely light up. 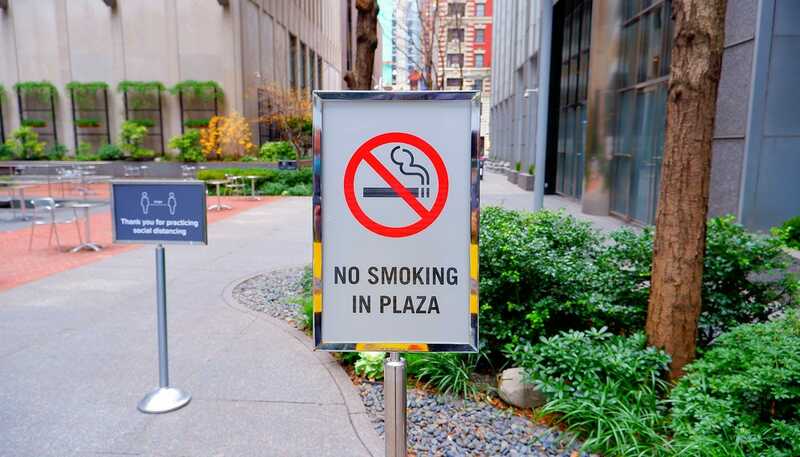 In New York smoking is being prohibited in more and more areas. There are the non-smoking areas such as public transport, restaurants and museums for example. Places we already got used to in England. In New York the smoking ban also applies to parks, swimming pools, squares, beaches and promenades. Did you want to – temporarily – switch to the electronic cigarette? I have some bad news for you- since the 29th of April 2014, the same rules apply for this tobacco substitute as well. Smoking in undesignated areas could result in a fine. I bet you’re now wondering: can I smoke in New York at all? And if so, where? The answer to both of your questions is yes: You are allowed to smoke within private homes and in private cars. In the streets you can light up your cigarette as well. You will often see people smoking in front of their office or outside the bars. Some bars and clubs also offer an enclosed smoking area, whereas some hotels offer rooms where smoking is allowed. Furthermore you can find special ‘cigar lounges’, often with a corresponding atmosphere and dress code. Please note that most of these are meant exclusively for smoking cigars, although some of them do permit smoking cigarettes. In New York you’re allowed to buy tobacco or cigarettes from the age of 21. Even if you’re younger but look older, you can’t escape this rule. They not only ask for your ID, they even scan them before they’ll hand you your cigarettes. If you still want to smoke some cigarettes, it will be cheaper to buy them at the airport before heading to New York. You’ll be allowed to carry up to 200 cigarettes with you coming from the UK. 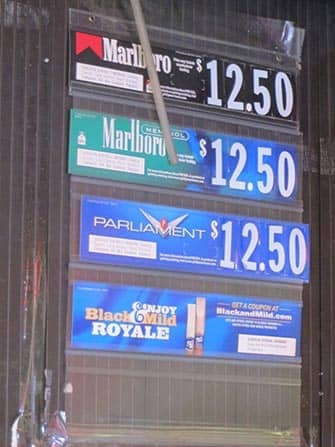 This way you’ll save some money, since, you’ll pay as much as $ 10,50 or even $ 15 for one pack of cigarettes in New York. 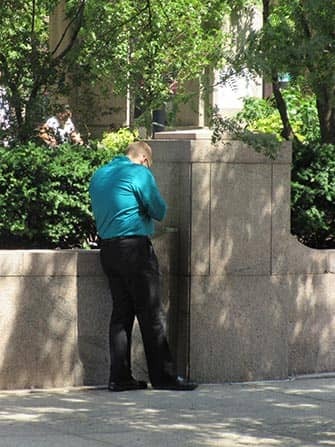 Eric’s tip: Not a lot of New Yorkers smoke and those who do, try to hide it as much as possible. I recommend that you really abide by the rules. Even when you don’t see any police around, a New Yorker will criticise your smoking behaviour.